Free Spirit Publishing, 9781575421568, 40pp. The older children get, the more words they know and can use—including hurtful words. This book teaches children that their words belong to them: They can think before they speak, then choose what to say and how to say it. 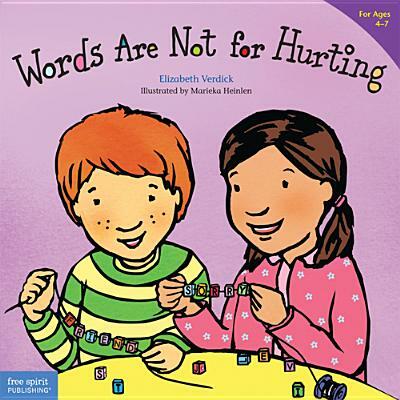 It also explores positive ways to respond when others use unkind words and reinforces the importance of saying “I’m sorry.” Includes tips for parents and caregivers.